Officer Sean Tuder was killed in law son, January 20, 2019. A police officer has been killed shot Sunday afternoon in Mobile, Alabama, officials said. Officer Sean Tuder, 30, was killed in duty, CBS affiliate WKRG TV reports. Police have arrested a suspect identified as 19-year-old Marco Perez, but they did not immediately say whether he was the shooter. WKRG TV said district attorney Ashley Rich has approved charges against Perez for capital murder in connection with Tuders death. Mobile Police Chief Lawrence Batiste told The Associated Press the suspect had several previous warrants. The officer made a follow-up study at Peach Place Inn when he was hit. 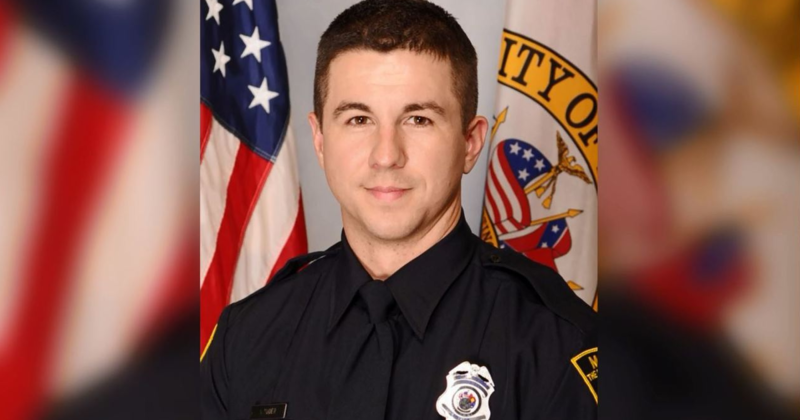 WKRG TV said the last officer killed in the duty was officer Justin Billa who died on February 20, 2018. AP point out Tuder was the second Alabama officer to lose his life this month. Wytasha Carter, a police sergeant in Birmingham, was killed a week ago. Billa's widow used Facebook to ask for prayers for the Tuers family. "My heart feels crushed again. Wait a moment to pray over Sean's wife Krissy and all his family. I wish I had more words right now, but I just don't do it," she wrote. Law enforcement community condolences have succumbed to Tuder's death, WKRG TV reports.